Snapchat’s valuation has now eclipsed $30 billion on its second day of trading (in agreement with my prediction in June 2014)…yet so many pundits got it wrong. But not just for Snapchat, but also Uber, Facebook, Google, Dropbox, Pinterest, AirBnB, Amazon, and many more. I’ve been reading predictions of a Web 2.0 bubble burst since 2012..but unlike a stopped clock, these pundits are never right. Below are links to pundits in 2013–when Snapchat was only valued at $3-4 billion–calling it a bubble. Had someone hypothetically shorted Snapchat then, by now they would have lost 1,000% of their money. Investors think Snapchat is worth $4 billion. That’s insane. When you look at the rumored Snapchat valuations of over 3 billion dollars, it’s difficult to understand how an investor can think that Snapchat is worth that much. Because the truth is, it’s not. 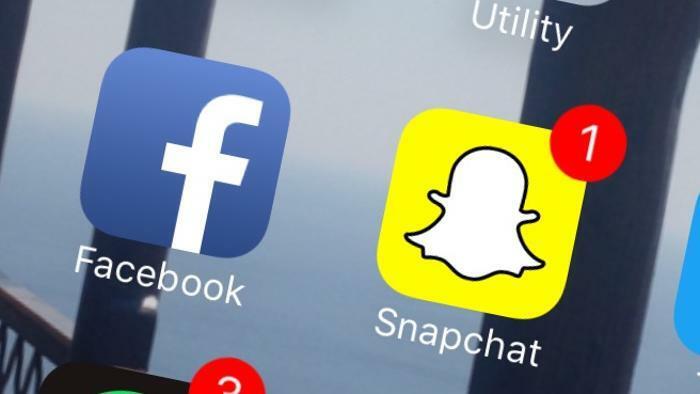 Those rumors, even if true, don’t actually value Snapchat at 3 billion dollars. Is the Social Media Bubble Finally Popping? Why do we keep falling for economic bubbles – and will we ever learn? May 26, 2012 – The dizzy rise and dip of Facebook stock this week called to mind the dot-com bust … Behavioural economists say yes: Bubbles come from our basic mental flaws. Apr 12, 2012 – Innovation is losing to funny-money acquisitions in Silicon Valley — and the tech bubble is getting dangerously close to popping. The photo-sharing app that currently boasts over 400 million users is expected to rake in $3.2 billion in 2016 alone, according to analysts at Credit Suisse. Additionally, $572.5 million of that massive total will have been generated during the first quarter of the year, reports CNBC. From the perspective of the platform that owns Instagram, the news couldn’t be any better. Facebook initially purchased the app for $1 billion in 2012, when it had just 30 million users. Four years down the line, and Instagram looks set to make more than triple its price for Zuckerberg and co. Currently, Instagram is home to its own set of influential users (from rich kids to models), and is arguably crucial to any celebrity’s social media strategy. Then, of course, there are the hundreds of millions of users that have adopted the platform, seeing it overtake rival Twitter by the end of 2015. So why does a ‘bubble’ that seems so inevitable and obvious just refuse to burst? Maybe it’s not a bubble. These web 2.0 companies are run by very smart and competent people, have huge growth, market dominance, few if any viable competitors, have loyal and substantial user bases, and rapid mobile adoption and mobile ad-integration yielding billions of dollars of revenue. Unlike web 1.0 burnouts such as Pets.com and Webvan, these are not flashes in the pan. These companies are not only here to say, they are growing, and with hundreds of millions of users, have as much reach and influence as major media platforms like CNN, ABC, FOX, and NBC. Snapchat reaches more people than cable news. Instagram reaches more people than Viacom. Facebook is the biggest and most important media company in the world right now, and it’s making the ‘old media’ terrified because they are powerless to stop it. Even though I don’t care much for Facebook’s politics, they are disrupting 60+ year-old oligopoly of ‘old media’. But what if users defect? Can’t anyone make a social network or a picture sharing app? Pundits said the same about Facebook in 2010 and Google in 2004, but those ‘newer and better’ social networks and search engines that seem so obvious and inevitable never came. Facebook is unique because it got the coveted, less fickle ‘older demographic,’ but they own Whats App and Instagram, which were two of Facebook’s biggest competitors. Also, it helps that Facebook is so big that it’s an indispensable part of almost everyone’s lives. Although anyone can make a mobile picture sharing app, getting the 100+ millions users, branding, and functionality that is unique to Snapchat is much harder. Not only that, but venture capital has also gotten a lot smarter, having learned their mistakes from the last boom, chasing only the ‘cream of the crop’ instead of in 1996-2000 when everything was indiscriminately bid higher. Companies that have shaky business models and weak growth never attain the highest of valuations. As an example of capitalism becoming smarter and more discriminating, when Fitbit went pubic in June 2015, it ‘only’ had a PE ratio of around 30, although high was not obscene. Had this been the late 90s, it would have likely had a PE ratio of over a hundred. Wall St.’s trepidation about Fitbit proved correct, and the stock and company has faltered significantly since the IPO, due to slowing growth and competition from other wearable fitness devices. Even if the market falls, staying ‘long’ is often the best course of action. Patience pays. Even when the market crashed in 2008, people who bought tech stocks such as Google in 2004-2006 still came out ahead, and by 2012-2013 even those who bought at the top in 2007 were ahead. These pundits who prematurely call ‘bubble’ all the time need to be called out, or at least kindly reminded when they are wrong, so they can make a mental note to understand where or how they went wrong and to revise their thought processes when making future predictions.